Game changers. August. 30, 2018 07:26. by Sang-Ho Yun ysh1005@donga.com. In 1861, during the time of the U.S. Civil War, medical doctor Richard Gatling was shocked to see numerous injured soldiers passing by his hometown in Indiana. Thinking that if one soldier could do as much battle duty as a hundred, there would be less demand for troops, he invented a machine gun with six barrels. The Gatling gun, the first successful rapid-fire machine gun, was recorded as a “game changer” in the history of war. Modern times have witnessed a number of other game changers such as the Tomahawk missiles and the Stealth fighter jets. South Korea’s Army is pushing for its “five major game changers” project of developing a warrior platform equipped with smart combat gear, dronebot fleet featuring the combination of drones and robot technology, and special force troops who would perform missions of eliminating enemy leadership. In the Hollywood film “Edge of Tomorrow,” the protagonist played by Tom Cruise fights alien life forms, wearing special combat gear called the “Exo Suit,” which is a kind of warrior platforms. Recently, a woman in her 50s wearing such equipment showed over 90percent hit rate in rifle firing test. Faced with a plan to reduce troops, the South Korean Army is particularly committed to developing dronebot fleets. In its recent recruitment of 19 noncommissioned officers (NCOs) who would operate drones and unmanned aerial vehicles, a total of 548 people, including 67 women. The 28.8-to-one competition rate is more than three times higher than the average competition rate for NCO recruitment, as many younger generation people familiar with information technology and computer games applied. 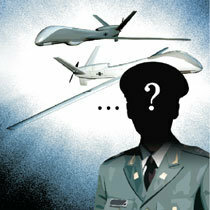 The Army also plans to recruit rank-and-file soldiers who would fly drones. They will serve in a dronebot fleet, which will be founded in October.